This is part 2 of our coverage on Tech in Asia 2016 in Singapore. Part 1 can be found here. 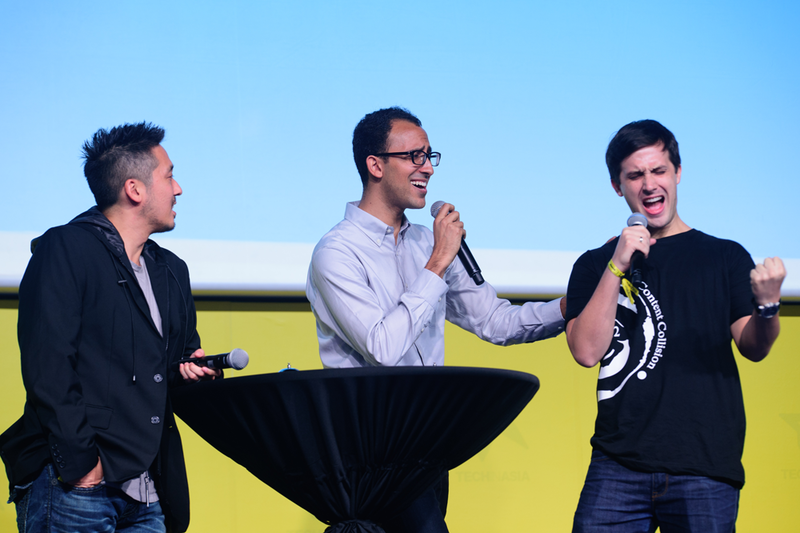 Tech in Asia had other stages on Adtech and Fintech where more tactical topics were presented. The conference floor was filled up to the brim with startups that you had no idea existed or would be needed. But that makes this conference also super interesting. For marketers in Asia it is important to understand that change and specifically disruptive change is bubbling up over the next years. Your industry and marketing and advertising in your industry will be affected. This ties into the Singapore Smart City initiative that envisions an economy that embraces startups as a future growth driver. AdAsia will follow these developments very closely. We spent time on the second day at the Adtech stage where a number of presentations focused on the more tactical side of how startups can drive growth and market themselves. The highlight of the second day was the Arena Startup Pitch Battle followed by Quiz Asia. The pitch battle, where 6 startups that made it through a pre-selection round, had 5 minutes to pitch their business to 4 judges was very entertaining and insightful at the same time. 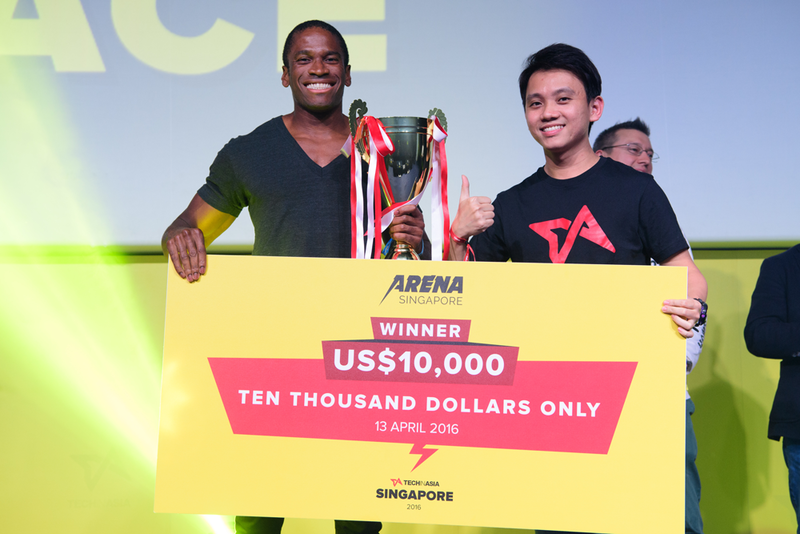 The judges awarded BitMEX, a betting platform that lets you bet on anything in the future, with the first prize. It is certainly amazing to see how all of them seem to follow the same format for the pitch, going from market insights, the opportunity via the pain points they’re solving to the growth and financial projections. The questions from the jury challenged them on topics like scaling and relevance. 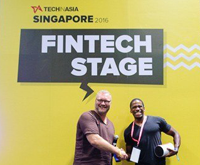 They had also won the Fintech Pitch Battle, sponsored by DBS, on the first day. BitMEX taking the 10,000 $ cheque. David Corbin presenting the Quiz Asia with a lot of wit and humour. The Quiz Asia, presented by the David Corbin was by far one of the funniest moments at an event I have witnessed in recent years. The best part was the last question where both contestants had to tell a story based on a series of emoticons. The next Tech in Asia conference takes place in Bangalore. This edition was in our opinion very good and had a good crowd. While it is energising and inspiring, it is also sobering to hear that the economy is slowing down, which puts pressure on both startups and investors. It is also the first event in recent months that we visited that has not reclined in terms of exhibitors and delegates. That is proof if its relevance so we look forward to the next one in Singapore in May 2017!